If you had to choose, would you rather live in the mountains or by the ocean? Why choose, when you could have both? 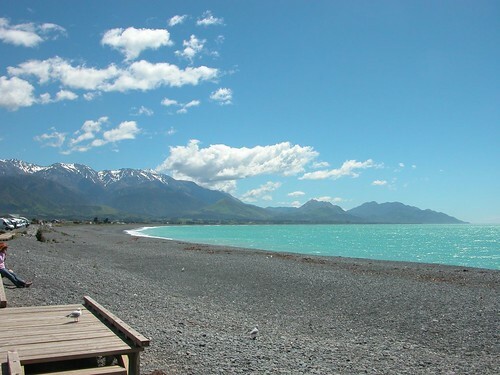 Let me show you the view from the beach at Kaikoura. The Seaward Kaikoura range on the east coast of New Zealand's South Island has the steepest peak to sea level gradient of any mountain range (or so my Kiwi friends tell me).